A previous article (Hugh Preston, AC&B Yearbook 2000) pointed out the difficulties in starting an ancient coin collection. This article canvases a few collectors from around Australia and asks the pertinent questions on how they started, what got them hooked and what they like to collect. Ancient coins can seem a vast and complex topic, but there are four main points that can keep the collector on track. Firstly, develop a feel for a whole series. Secondly, learn to identify coins. Thirdly, learn to estimate the worth of a coin. And finally, develop a strategy and theme for your collection. Why do people take up ancient coin collecting? For some it is a new interest entirely, for others it is simply an additional coin collecting area. Some collectors hone in on the artistic merits of ancient coins, the beauty of Graeco-Roman art. Others like the idea of a portrait gallery, collecting the heads of Roman emperors. Many ancient coins can be inexpensive, appealing to the budget collector. Ancient Roman coins are well documented and reference material is readily available. For historians, the information contained on the coins themselves can be of great interest. 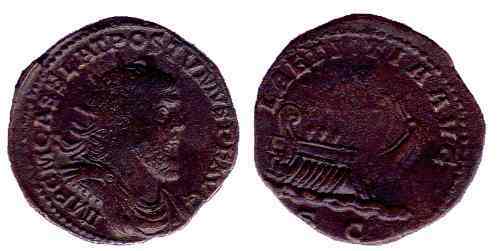 The most popular areas for collecting Roman coins are portraits of the emperors and reverse types. Imperial portraiture can be collected either as a series of consecutive emperors, or as a range of portrait types of the one emperor. Reverse types can include architectural, military, geographical, animals, deities and personifications, representations of the emperor and his family, propaganda and commemorative types. 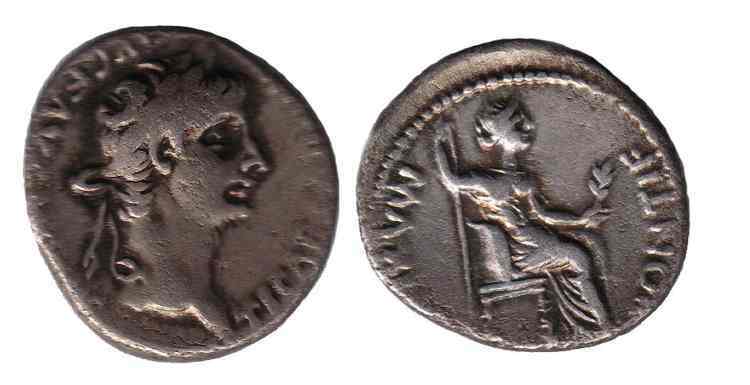 Most collectors begin with portraits of the emperors and some then move on to other areas of interest: imperial reverse types, the republic, coins of the Roman provinces, classical Greek – the list is endless. So what do real collectors choose to collect and why? We asked the following questions of six Australian collectors of ancient coins. How long have you been collecting ancient coins? Ancient coins cover a broad geographical area and 1000 years of history – do you have a topic or objective and a long term collection strategy? What is the current state of your collection? What makes a coin desirable to you? What are your favourite two coins? I have been collecting ancient coins for 25 years. My fascination with the ancient world started with a trip to Ephesus in the early 1970’s. The ruins of this once magnificent Greco-Roman city lie in dry Turkish bushland and the sense of wilderness helps to evoke its former splendour. 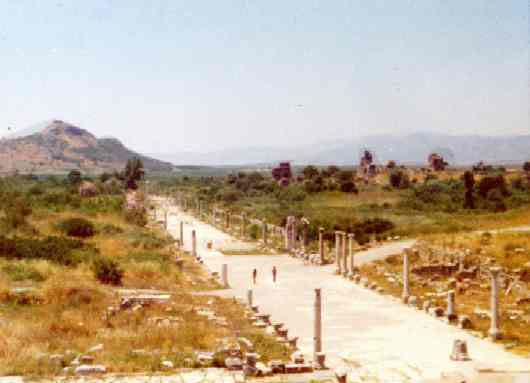 Arcadia Street, Ephesus, which led from the city to the harbour - about 500m long and 21m wide (the middle 11m marble), and lined with pillars. My collecting activities began when I found a cheap (and old) copy of David Sear’s Roman Coins and Their Values in a used bookstore – I was fascinated and overwhelmed by the obvious huge scope of the 800 years of Roman Coins. On the advice of a friend I bought some rubbish, a lot of 30 or so coins graded fair-to-fine in an auction and painfully identified them. One of these turned out to be rare and I later sold it to Spinks in London for a good price, making the venture quite profitable – I should hasten to add that it has not happened again. The next step was to find a reliable and knowledgeable dealer who helped a great deal in the early years. I formed a collection plan quite early. I decided to concentrate mainly on Italy and to collect coins of the first thousand years – from Magna Graecia to the fall of the Western Roman Empire. Since this meant thousands of issues I decided to collect representative issues of historical interest, avoiding rarities and sticking mainly to silver. In some areas of special interest (Roman women, the Antonines, children and small figure reverse types, Oscan legends) I decided to form specialist, more comprehensive, collections. Some of these have spread out of Italy – for example to include Roman provincial coins of the Antonine period. Where possible I look for relatively high grade material – generally better than very fine. A collection is seldom finished and none of the areas mentioned above are. I have some 400 coins, with many holes in my collection as I’m sure we all do. Most of my collection, and ROMANORUM stock for that matter, is bought at auction in Australia or overseas. Noble Numismatics leads the auction market in Australia. Ancient coins are big in the USA and Europe and quality overseas houses are too numerous to single out here. It is worth noting though that European material tends to be accurately and meticulously described (though often in German) for the mail bidder. 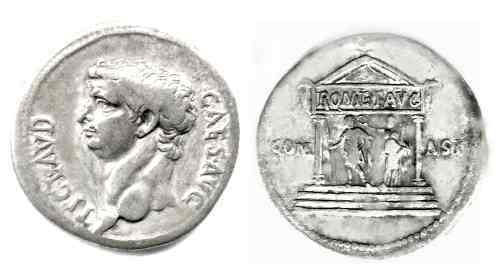 As to favourites, my first selection is a rebel denarius of the Social War, a Roman civil war BC 90-88. It is important as the first personification of Italia on a coin and because it has a clear Oscan legend, which reads ITALIA. Oscan was a major Italic language, spoken in central and southern Italy, for example in Pompeii, which was eventually supplanted by Latin. It has survived only on coin legends and inscriptions. 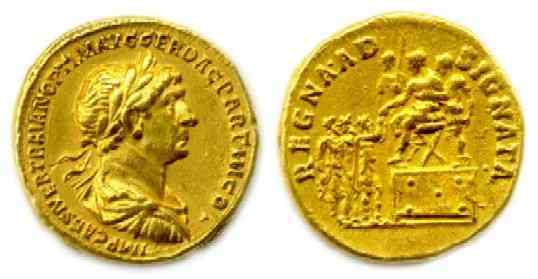 My second selection is the REGNA AD SIGNATA aureus of Trajan. This specimen is a fine example of Roman portraiture. The reverse legend translates to ‘the assignment of kingdoms’ and we see Trajan seated, greeting three kings. 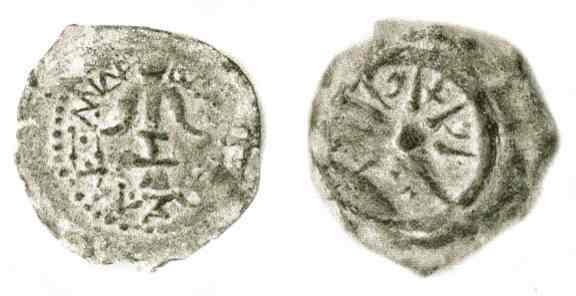 The coin commemorates political settlements following the campaign of AD 115. Documentation is important especially when the time comes to sell the collection – I do have records of one sort or another on all my coins but only a third of the collection is fully catalogued with images. I remember in primary school days poring wide-eyed over an illustrated book on Egyptian archaeology. This was the spark that kindled my interest in things ancient. This interest in ancient civilisations continued over the years, but collecting was still a long way off. My brush with death in the 1977 Granville train crash caused a major upheaval in my life and I was looking for at least some distraction from the trauma I was experiencing. I was at the time working with Colin Pitchfork in TAFE and was aware of his great interest in coins, ancients in particular. Because of my Christian upbringing and also probably to have something tangible to hold on to during a crisis of faith, I decided to collect Biblical coins. I asked Colin Pitchfork to obtain a 'widow's mite' for me and that was the start of my collecting, over 25 years after my interest in the ancient world had originally been awakened. Collecting Biblical coins can be as narrow or broad as you choose to make it - from coins specifically mentioned in the Bible to coins of Biblical characters to coins of Biblical cities. I have attempted to obtain examples of coins in these categories. Books on Biblical numismatics tend to mention three 'must haves'. These are the 'widow's mite' (a small bronze prutah of the Jewish High Priest, Alexander Jannaeus, 103 - 76 BC) , the Tribute Penny (usually regarded as the common type denarius of Tiberius) and the '30 pieces of silver' (usually regarded as a shekel or tetradrachm of Tyre). To these I have added examples of the other Jewish High Priests, the Roman Procurators or governors of Judaea (Pontius Pilate, of course, being the most sought after) and of Herod the Great and his descendants and the wars between the Jews and the Romans. Do you know there exists a portrait coin of Salome of John the Baptist fame? I find the very existence of some coins I am never likely to own adds to the interest of collecting. Like most collectors, I guess I started looking for quantity and gradually changed to quality. Having said that, many Biblical coins, particularly the bronzes are fairly rough even in high grades. I am now more patient to wait for coins in which I am interested become available. Also like most collectors, I am at times attracted to coins right outside my main collecting area because they represent something of particular interest. My two favourite coins are my original 'widow's mite and a bronze drachm of Hadrian from Alexandria. The latter coin represents my other interest, that of restoring ancient coins. It was sent to me by a dealer for restoration and the result was just so good that I felt the need to purchase it! These two coins probably represent the two ends of the aesthetic scale; the first comparatively rough but of Biblical interest and the second pleasing to the eye as well as being of historical interest. My coins have come from most of the available sources, namely purchased from Australian and overseas dealers, from Australian and overseas auctions and mail bid sales, more recently a few from the Internet and by trading with fellow collectors. My collection, unfortunately, is not very formally documented at the moment. However, I have the information to do so when time permits. I agree in principle that for various reasons including knowing exactly what you own and security it is a good idea to have proper documentation. Finally, one area where I have been more diligent and would encourage other collectors to follow, is to have as good a library as possible in your area of speciality. I started collecting in 1967 and have been dealing in coins for ten years. Attracted by the history behind them, I was amazed that these coins were still in existence and available. I found it interesting that you could actually read the Latin and learn history from them. My Sunday School teacher had quite a good collection of ancient coins and used to bring them along to show us portraits and coins of biblical times such as the tribute penny. He gave me my first coin, a bronze AE4 of Constantine II from the Antioch mint. I don’t think that collectors are ever satisfied with what they have. Starting with the standard areas of interest I tried to obtain the major Emperors, historical figures known to me, etc. Then I moved on to why they were minted, where they were minted, the historical context behind them, and started reading the Latin inscriptions. My interest then moved on to Greek coins. I find Greek interesting as a source of western history and basis of society. Collection areas include the different cities and their goddesses, each of the city states, Hellenistic kings, Ptolemaic, city states before and after Roman rule. I collected a bit of republican coinage and some standard Roman imperial coins. I now have more coins than I’ve ever had. My collection is at a pinnacle and I need to decide what to do, will I unload and start again? I have about 300 coins, mainly silver and bronze. Gold seems risky to me, more to tempting to forgers and difficult to date. I can date silver content and have a good idea with bronze. For me, money needs to go as far as it can, so I mainly buy Roman bronze and Greek silver. I see my collection as an investment, and I need to keep putting money into upgrading, and improving its condition. A coin is desirable to me if its where my interest lies, eye appeal is important and so too is cost. I like Hadrian travel series and I’m interested in areas/cities where coins were struck. I also like third century Roman sestertii, a period of turmoil, or perhaps an As in good condition. They are difficult to get but not too expensive, rough and crude but some portraiture is quite good. Looking at the sell on value is important, getting more than what you paid for it. For long term value it’s best to buy quality. My favourite coins are a Lysimachus tetradrachm and a Caligula As, perhaps also a Postumus sestertius. 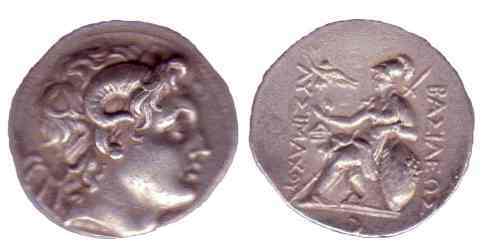 The Lysimachus tetradrachm has a portrait of Alexander the Great in a nice style and high relief. The Caligula As is nice, but I’d prefer a sestertius. The Postumus is a nice double sestertius in good condition, a good size (large) and bronze. I like the style and it’s well struck except for a small part, but no coin is perfect. I mainly purchase from overseas auctions, particularly from Europe (Switzerland, Germany). Coins that I want are just not available in Australia. Perhaps there would be more new material available if interest in ancient history was renewed at a school level. I also buy and sell coins, although markets are changing due to the internet, etc. Conventions such as those in Chicago and New York, where there can be 80-90 dealers of ancient coins, are another source. All coins are documented when they arrive. I record cost and a description of the coin. As for images, about half are photographed and half are rubbings. I also collect reference works such as RIC. I like collecting books generally on Roman and Greek coinage, and catalogues from all over the world. I have been collecting ancient coins for about seven years. I have been a collector in the broader sense for much longer, 15-20 years, collecting Australiana including a pre-decimal penny collection, Australian Track tokens, and pre-decimal banknotes. Ancient Roman coins are one of the few areas where I have branched away from this. Although an amateur local historian, I am interested in all history including ancient. I find research interesting and enjoy finding out things. Ancient coin collecting is a marriage of two interests: history and coin collecting. I am also interested in money as a valued commodity, the nature of coin itself. I like its durability/strength, and also its beauty, particularly with Roman coins. The first coin I possessed was probably a Julius Caesar. I wanted to collect a continuous succession of emperors. I started with a frame and got to the first civil war when rarity became a problem. I was held up at Otho, although I eventually achieved eighteen emperors from Augustus to Commodus. I have two aims: to show what I have collected, and to do historical research around coins. Entering this first frame in collectors shows, I won a few awards. 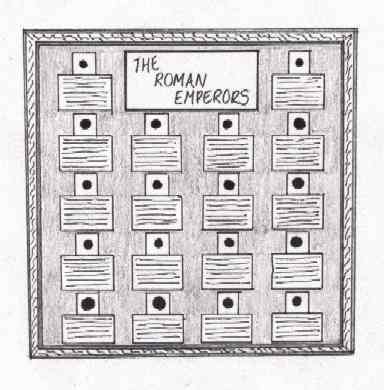 I now have 62 emperors (that’s about 78% of Roman emperors not including usurpers), and an estimated 79 to get altogether. It’s an ongoing thing, realistically I’ll probably get 70 emperors. Next, I want to specialize in one emperor: Trajan. He reigned for a long period (19yrs) and has many different coin types of which I have 6 already. I plan to frame the coins circled around a large blown up portrait of Trajan, with the particulars at the top and some thorough research at the bottom. Cost is important to me, only a few of my coins are worth more than $300, most are under $70. The majority are bronze, about 70%. I want to fill in the gaps but I’m not too worried about quality, I’m more worried about gaining the portrait. 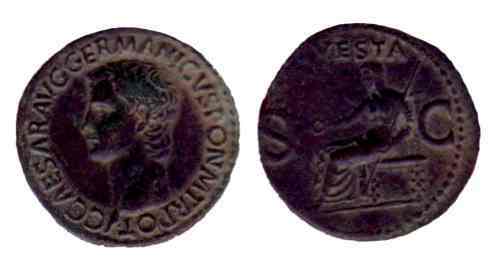 I like sestertii for their largeness and their representation of emperors, I’d quite like a sestertius collection. My main interest at the moment is probably ancient Roman. I haven’t got any gold, but I would like to have at least one. I like the sestertius, the size and quality of the portraits appeal, perhaps this will be a future collection. Perhaps emperors of imperial Rome. My favourite coins are a Pertinax sestertius, a Tiberius denarius and a Trajan. The Pertinax is a bronze sestertius with a nice portrait, it’s a thick heavy coin and rare. The Tiberius denarius is a tribute penny, the biblical connection making it a well known coin. Particularly interesting to me at the moment is a coin of Trajan, with Trajan’s column on the reverse. Generally, I buy coins through postal auctions. I receive about half a dozen catalogues in the mail, from Status International, IS Wright, Downeys, Laurie Nugent, Hugh Preston (Romanorum), and CNG. My coins are listed and documented in a hand-written book. I’m not into handling the coins or sticking them in a drawer, I like to display them in frames. My frames contain a number of related coins with some background information about the particular subject of that frame. I enjoy the research and self education aspect of collecting ancient coins. I would like more reference sources, however, having only eight books on ancient coin collecting. I feel a bit limited without more reference material. I started collecting on my birthday three years ago. My parents had been given some Roman coins many years ago and I had always assumed that they were expensive these days. I was surprised to find how cheap they really were. I’ve always been interested in history and I’ve studied the Roman emperors so it was great to follow on my interest in this way. My collection started when my wife bought me some coins for my birthday – actually, she took me along to a coin store to choose one but I managed to talk her into a couple! Originally, I aimed to collect one coin of every emperor. I started with the later empire because these coins are generally much less expensive. Then I started collecting dynasties. Currently, I am collecting River Gods, mainly because I find the reclining image attractive and because it is a finite and collectible set. My next focus will probably be Hadrian’s travel series, or a series of reverses depicting provinces of the empire. My collection is a new collection, I’m just at the beginning of my collecting journey. It is growing slowly as finances are limited. As you can see from the photo, I still have many holes to fill. I like to handle my coins, so I built a display cabinet which fits into a bookcase. It enables me to see the coins and enjoy them on a daily basis. Highly desirable in a coin is the historical context, either the Emperor or the significance of its reverse. I look at it from an historical point of view, I’m currently studying Classics at the ANU, I’m not really a coin collector. My favourite coin is a Tiberius tribute penny, as Tiberius, despite his ancient reputation, is one of the Roman Emperors I admire and have studied the most. 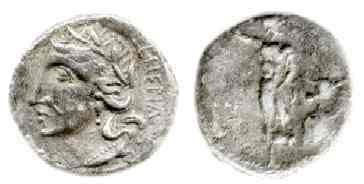 My second favourite coin is a Danuvius reverse of Trajan, the first river god piece that I purchased. I obtain coins from anywhere I can. This started with Edlins of Canberra, then moved to Hugh Preston’s ROMANORVM, which I then became a part of (providing database and web site technologies). Currently I get coins from dealers, Ebay and CNG Web Auctions. My collection is documented on a program I designed and built myself. Coin data is entered on database fields such as: emperor, legends, references, mintmarks, descriptions of obverse and reverse, etc. The database is searchable by all these fields. All coins records include scanned images. Having said that, I have not yet found the time to document my collection to any depth. My interest in ancient coins began as recently as early 1994 when I read in a newspaper article that ancient coins were gaining popularity with collectors of all things that were old. It also stated that dealers had ample stock, Roman in particular at affordable prices. As the Roman State was an area in history that I was fond of, and a modest library was already in my possession it was decided that this would be my new interest. At a loss to know where to begin, an approach was made to a travelling coin dealer. He did not have ancients, knew nothing about them and did not wish to have anything to do with them! However, after some persuasion he promised to supply me with the names of some dealers. My first consignment of 5 Roman coins arrived from Sydney in December, 1994 and from then on I was hooked. My first aim was to collect about ten coins which would be displayed to the public at our place of business and later they would be given to my two daughters as a legacy. After collecting the proposed number for this purpose it became apparent that my interest and longing for more had to be satisfied. It was decided that a representative collection of Emperors and people of historical interest would be pursued, regardless of time and coin quality. At this stage a high degree of representation of Roman Emperors and other notables of the era has been achieved, with unbroken lines for hundreds of years. The Roman Republic is also well represented with some of the earliest coins and through to the later Imperial times. With this headlong rush to achieve the aim, something had to be sacrificed. That was, to a degree, quality. That aspect has not and will not worry me. However, as the gaps are filled, the trend is now to introduce quality. This is being done by trading existing coins for better examples and buying better quality. At this stage an important character or event in history is my main desire but as the collection grows, so will other desires. They will be quality and beauty of craftsmanship, value in the marketplace and the different metal types. All these are linked. Most of my coins, to me, are very desirable and could be classed as favourites in some way. I submit the following two as my favourites. Firstly, a Roman republican Aes Grave Sextans of cast bronze, 44.6gms, from ca230 BC, Sear 587. 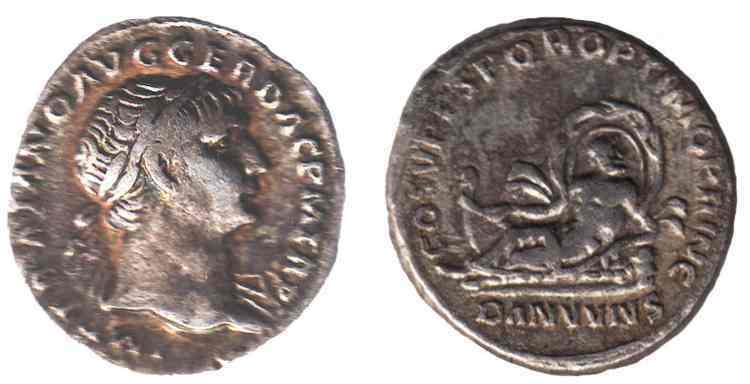 The other is a Roman silver Cistophorus of Claudius, 10.9gms, minted 41-42 AD, RSC 3. My first lot was purchased from a dealership (Jaggards) in Sydney. From then on I visited a lot of secondhand and antique shops in three states during my travels. Looking back, the success rate of finding Roman coins was poor but quite exciting and satisfying. I purchased a collection of over three thousand World coins (for very little money) just to get twenty Ancient Romans. Most were quite poor but they provided a lot of excitement at the time. Then I found Romanorum, a dealership in Canberra run by Dr Hugh Preston. This is when my collection of Ancients came of age. The help and advice received from this quarter enabled me to improve and enlarge the collection at a more rapid rate. Other avenues are also used such as a relative who lives in Germany. He delights in seeking out people who have bargain coins to sell. He then gives them to me as he collects only stamps. Then there are the small time dealers who end up with ancients they know nothing about and sell them off to get rid of them. Sadly my collection is lacking in documentation and this certainly needs to be done. 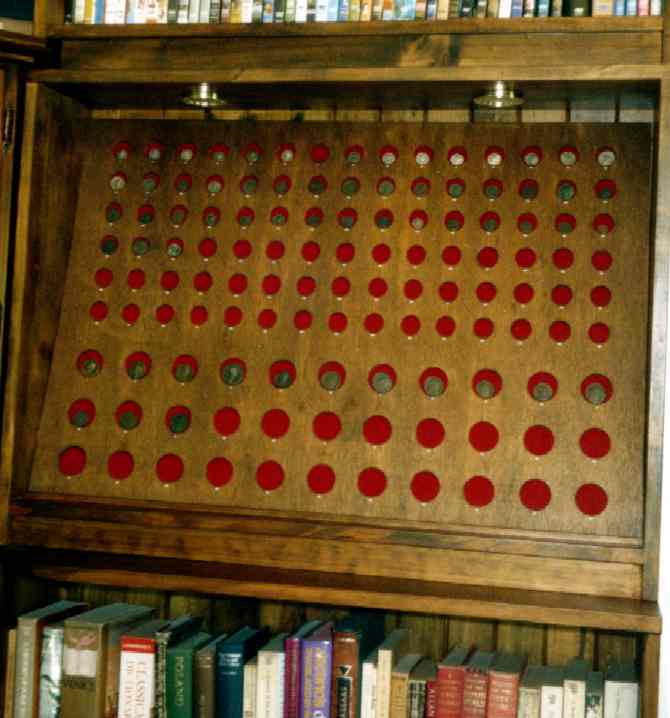 However, each coin in its individual holder is well documented. This includes a description of the Emperor/Moneyer or similar, year of reign, year of manufacture where possible, metal type, weight, legends, coin type, mint of manufacture, a comprehensive description of the reverse, where purchased, price, date and catalogue numbers. They are set in chronological order which allows the viewer to trace the year by year progression of history. This, to me, makes for an exciting and satisfying pastime. As you have seen, many different influences and preferences have guided these collectors of ancient coins. From life threatening experiences to the sheer beauty of foreign lands, from birthday presents to Sunday School and history lessons each one has told a different story of their coin collecting journey. Each too, has a different area of interest in Biblical, Greek and Roman coinage. So, will you choose Biblical, Greek or Roman coins? Perhaps Byzantine, Parthian, Persian or Celtic? Whatever your choice, forming a collection of ancient coins is a fascinating enterprise. Wayne G. Sayles, Ancient Coin Collecting. Clive Foss, Roman Historical Coins. Andrew Burnett, Coinage in the Roman World. Michael Grant, Roman history from coins. David Sear, series: Roman Coins and Their Values (also Greek, Greek Imperial, Byzantine). Thank you to all contributors for their time and candour. This article has appeared in Australian Coin & Banknote Magazine, January 2004.